Nokia Lumia 925 has finally come into the Philippines, still powered by Window 8 for mobile software, formidable specs, and reasonable price. Available now on Kimstore, an online gadget store in the Philippines at the price of Php27,900 (not official). Nokia Lumia 925 has become more powerful than ever, delivering the power of 1.5GHz dual-core Qualcomm MSM8960 Snapdragon processor and 1GB RAM for ultimate mobile experience, graphics is also sophisticated by integrating it with 16M colors with Corning Gorilla Glass 2 with 334 pixel density, 4.5inch AMOLED PureMotion HD+ ClearBlack display, and a powerful Adreno 225 GPU. Camera feature of Nokia Lumia 925 is no joke to laugh at, 1080p@30fps Full HD video recording, with PureView 8.7MP autofocus camera with OIS, Carl Zeiss optics and dual-LED flash, and a 1.3MP front facing camera. Finally, the best advantage of Windows 8 for mobile is that it doesn't hog so much battery even on Quadcore, while battery consumption is still one of the main issue of Android OS. 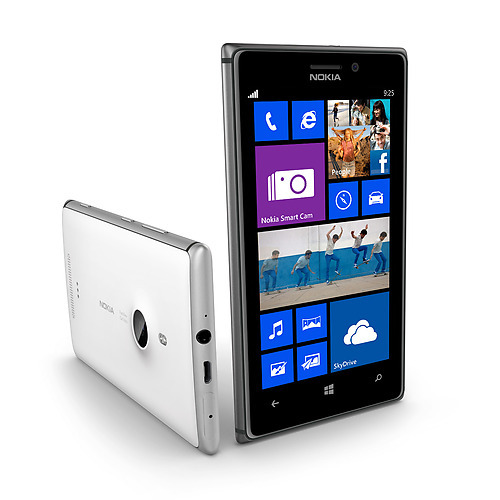 Php23,500 (Official SRP), available now on Kimstore Online and Nokia Stores, Kiosk in the Philippines nationwide. If you happen to have Nokia Lumia 925, kindly share your experience with us. Thanks! Today Mey i sharing with you Top 10 Best 2 GB RAM Android Mobile Smartphones or more some information to see this site Read More. To keep track on your health you need a best health tracker on your wrist. That will completely keep tracks on the daily activity and guide you what you can do more and less to say fit. So here we have the best heart rate tracker Watches for you.